This is an adaptation of an older recipe which I threw together from memory. Mix all ingredients except chicken. Place chicken skin-side down, and pour half of mixture over chicken. Bake, covered for 45 minutes. 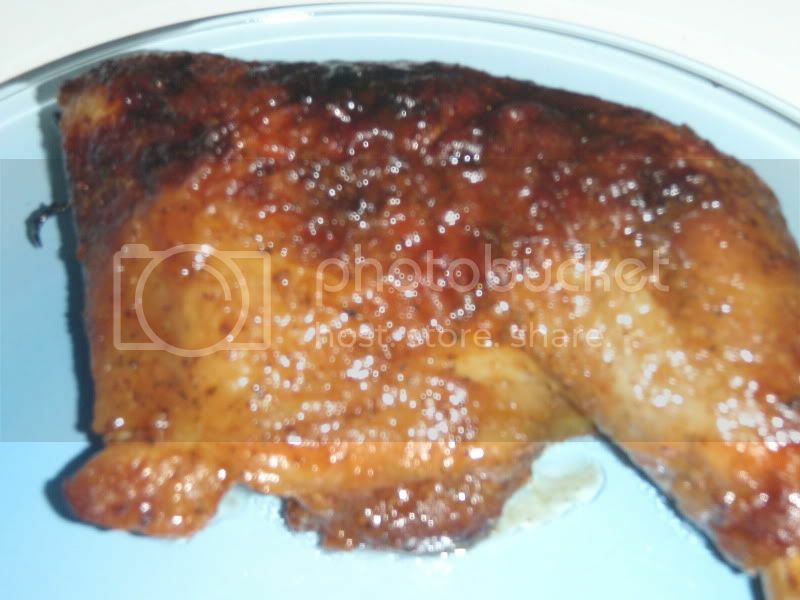 Flip chicken and brush with remaining sauce. Bake uncovered for 30-45 minutes or until done.